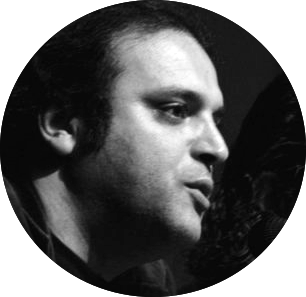 Syrian composer Chafii Badreddin is a graduate of the High Institute of Music in Damascus where he studied oud, clarinet and music theory, and from the Conservatory of Lyon where he focused on composition and electroacoustics. His compositions, which include several instrumental and electroacoustic works for different ensembles, have been performed in France, Germany, Holland, Italy, Turkey, Syria and other Arab countries. In 2007, the Autumn Festival in Paris commissioned Badreddin to write a piece that was performed by the NIEUW Ensemble. In 2008, he was invited to take part in Al-Farabi festival in London, England. After leaving Damascus, where he was teaching at the High Institute of Music, he currently lives and works in Luxemburg.